Producer Gerald Molen has worked in movies for more than 35 years, but he’s been politically conservative for much longer. His first producing credit, for “Hook” in 1991, led to a series of collaborations with Steven Spielberg, one of the more politically liberal figures in Hollywood. Molen went on to produce “Jurassic Park,” “The Lost World: Jurassic Park,” “Minority Report” and “Schindler’s List,” which won them both Oscars, but throughout he’s mostly kept his politics to the private realm. With a press screening scheduled for July 18 at the Harmony Gold Theater in L.A., Molen spoke with Indiewire about his major problems with Obama, why he doesn’t see the film as a “hit piece” and what he imagines Spielberg will make of it. How would you describe your political views? Have they changed much over the years? Oh, I’d like to use the word “evolve.” I’ve always been basically a fiscal conservative. I’ve always believed in the strength and the power of the human spirit, and I’ve always been for people who take responsibility for themselves. I’ve always been a strong believer in giving people a hand up when they need it — not so much a hand out, but a hand up. I’m very generous when it comes to helping people, and I donate to certain charities. But I’m also a strong proponent of individuals looking out for themselves and taking responsibility for themselves. It’s something that bothers me just a little bit about the entitlement society that we live in now. It’s pretty scary. Do you believe movies can be an effective activist art form? Do you think it’s possible actually to change things with a movie? I think so. I don’t think there’s anything more powerful than the visual image. 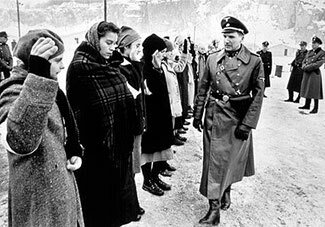 We’ve had some great films over the years, like “Schindler’s List,” that had a great impact on society. And I think in this particular case, this story, if nothing else, will prompt people to do their homework, do a little research, and find out for themselves — and just kind of wake people up. There are a handful of documentaries that can be considered political from a left-wing standpoint or from a filmmaking team that would be considered liberal that have actually done fairly well in the mainstream. But conservative documentaries and films that are political generally haven’t done that well. Do you think this movie has a better chance of getting people into theaters because your reputation and resume give it more weight? Well, I hope so. I really hope so. I feel strongly enough about it, if that’s part of what I bring to the project then yes, that would be a blessing. I do believe that there’s room for more conservative filmmaking. There just haven’t been a lot of them. And those that have come out, you haven’t seen the media get out and support them, for, I guess, obvious reasons. So you’re fighting that uphill battle also. But we had a screening in Houston last night at the Edwards cinema that was phenomenal, so now it’s opened there. Next week, we’ll have a screening in Los Angeles, and we’ll see where that goes. I’m excited about it, I think that there’s a great opportunity here and a need to get people to see this work. You worked with Mr. Spielberg on many films, and he’s a pretty committed Democratic supporter. Have you showed him the film? Well… Let me put it this way: The film just being finished, we haven’t been in a position to show anybody yet really, other than the screenings, and we’re still making a few tweaks to it, even before the screening next week in L.A. Would I show it to him? Absolutely. Would he like to see it? Um… [laughs] Realizing what his politics are? I don’t know! Are you going to invite him? Everybody’s invited. All of them are. I know you both have long been big supporters of the Shoah Foundation, but did you guys ever have political arguments? No. When we were working on a film, that’s basically what the mission was — getting the film done. My job was always to support Steven in allowing him the freedom and the space to be creative. And I took my job with him very, very serious. I would imagine that over the years there may have been some discussions about issues. I’ve never backed away from how I feel about things, but I’m also not a rabble-rouser, either. I don’t go on a set and start beating a tom-tom over issues. There’s a time for that, and it’s certainly not during the work day. This new film “2016” is certainly more proactive. Not rocking the boat is one thing, but actually putting yourself publicly out there and making a statement like this is something altogether different. Well, I feel very strongly about it. I’m what you call a “senior citizen.” Very senior. And I have grandchildren, I have great-grandchildren and I’m very concerned about their future with this heavy, heavy debt that we’re laying at their feet, and I don’t think that’s right. There’s just issues that I guess I would disagree on those lines with people that feel that that’s not a problem. Is it safe to assume that Mr. Romney can count on your vote? Oh, absolutely. I’ll definitely support him. No, Dinesh basically did that. I thought it was a great move. I think it was clever since he was going to Kenya anyway to make that contact and to have that interview. The interview’s fantastic. Do the brother’s circumstances have any meaning for you in terms of what it says about the president? And do you think it should be valid to audiences and voters? It’s a point of interest. I do think it does kind of point up a little bit the fact that the president himself, in his own words, has talked about all of us being our brother’s keeper, and there’s not a lot going on in his life as far as his brother is concerned. But I also respect George Obama in feeling that his brother’s got his own thing to do, his own worries, and he’ll take care of himself. I love that in him. What’s the plan for the film’s release? The other side of the team is working feverishly on that. It’s scheduled to open on July 27. And the conversation I had last night, they were hoping for 300-400 screens. That’s still an ongoing discussion. They had a great screening last night in Houston, and I understand that the theaters are sold out there for tonight. Tonight is the paying public. Why not hold the release until later, closer to the election? I think it’s just a clever way of getting the word out and allowing people the time to do their own research. I really don’t want to see it be a hit piece, I’d rather see it be an educational documentary, where people can see it, make judgments. We’re not trying to force anything on anybody, we’re just trying to get people to look at a different perspective, a different point of view, understand what the country might look like in 2016 if the present administration gets another term. Have you been in contact with the Romney campaign at all? Are they aware of the movie? Are you linked up with them in any way? I have not personally talked to them about it. But I’m sure by now they’re more than aware. There has been a lot of very unique publicity, whether it’s from Fox News, the Drudge Report, even some articles at Salon.com. And just the regular press. So yeah, I’m sure they’re aware of it. Do you think it’s genuinely possible for a film to affect an election of this magnitude? Can you have an impact? I think so. I think it might help. I really hope it does. That’s why I’ve put a lot of effort into this, a lot of time and travel and interviews. Seven months. Dinesh has probably been working on it for a couple of years. So I’m hopeful that it does. What is your hope here? What do you hope to see happen with this movie? It goes back to what I said earlier: I just want people to have an opportunity to consider some information that was not available to them. As I’m sure you’re aware, there’s been a freeze basically placed on a lot of the background of the president. We still know nothing about his schooling, we know nothing about his grades. I can remember when George W. Bush was running in 2004, all that hoopla about his grades, and he released his grades, they found out he was an average C student, but they also found out that he had better grades than John Kerry, so the media shut up about it. You still haven’t seen that same press by the media about our president. I don’t know why any part of his background should be off base to the American people — he’s our president. He wants us to respect him and to support him, and it’s really hard when he says, “This is all about me and not about you.” I have a real problem with that. Why? What are they afraid of? What’s the fear? What don’t they want exposed? I just don’t get that. What’s your take on the Romney tax forms then? Since there’s a similar argument being made there. I don’t think that it’s a similar argument. They said that he was going to release other stuff on his taxes. Even my own taxes, for myself, aren’t finished yet. And I certainly don’t have any kind of the complicated world that he does. Mine is basically getting reports back in from investments. Mine is miniscule, but I still took out an extension on mine. So I don’t have a problem with that. I think that people are looking for anything they can to make it a negative.